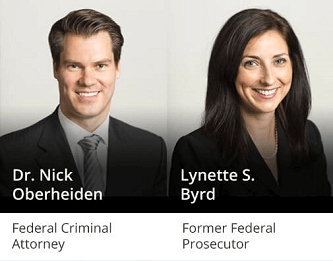 East TX Federal Tax Fraud Defense Lawyers - Oberheiden, P.C. Tyler, TX Criminal Defense for Tax Evasion, Tax Fraud, IRS Investigations, Etc. The IRS is nobody’s idea of a pen pal. A letter from the IRS is enough to send a chill down anyone’s spine, as the agency has a reputation for invasive audits and aggressive legal action. That’s why it’s so important that you take any suspicion of adverse IRS action very seriously. Taxation errors may seem like trivial civil offenses, but just the opposite is true. The U.S. criminal justice system treats willful tax violations as one of society’s greatest crimes. These can be overwhelming charges to defend yourself against, and the penalties are exceptionally severe. There is a reason people fear the IRS. You don’t have to be afraid, though, and you don’t have to face the IRS alone. Whether you are at the outset of an audit, currently under investigation, or already facing criminal charges, our experienced IRS tax defense attorneys can fight for your rights and protect you from an overeager IRS. This page will help you understand the most common IRS violations and criminal allegations, as well as how Oberheiden, P.C. can help. Unintentional tax mistakes should only lead to civil penalties, which can be very harsh, but they won’t land you in jail. But intentional dishonesty related to your taxes — that is, tax fraud — is a criminal offense and can put you in prison for many years (not to mention the hefty monetary penalties and permanent criminal record that can accompany your jail time). Few organizations are as relentless as the IRS. Tax fraud is believed to cost the government hundreds of millions of dollars every year, and the government is absolutely determined to recover as much money as possible while punishing anyone they suspect of fraud. Of course, IRS agents are human, and they make mistakes. In fact, the more aggressive they become, the more often they err. Many IRS audits and investigations ultimately prove to be unfounded, but demonstrating that can be a real challenge. It’s important to have an experienced criminal defense attorney on your side. Remember — tax fraud is a serious criminal charge and demands an aggressive and urgent legal defense. Our experienced IRS tax defense attorneys can help. Tax fraud is generally a specific intent crime, which means that the government must prove beyond a shadow of a doubt that your tax violations weren’t simply an accident. That is a difficult burden for the IRS to overcome. They can’t read your mind, and the court gives you the benefit of the doubt. Nevertheless, the IRS is powerful, and their attorneys are adept at prosecuting alleged tax violations. The good news is that our office has a strong record of success in achieving dismissals in these cases. From the moment you hire us, we will begin making a compelling case to the prosecutor that you neither warrant nor deserve prosecution. In many cases, we have been able to persuade the prosecutor to drop the charges and take a dismissal — that means you go home without a scratch on your record. If the prosecutor refuses to drop the charges, we will leverage every ounce of our experience and skill to aggressively defend you in front of a jury. We understand what juries are looking for, and we know how to speak to them. We’ll even work with forensic accountants and outside experts to make the strongest possible case in your defense. Are you in the middle of an audit? Undergoing investigation? If so, the IRS is already trying to build a case against you. They hope it will stick. That’s their job. Our job is to step in and fight them. We will help you stay in full compliance while protecting you from making critical errors. We’ll also work hard to persuade the IRS that you do not warrant prosecution. Our goal is to end the investigation and see every charge dismissed. We encourage you to contact us at the beginning of any audit or investigation, even if charges haven’t been filed. The sooner we get involved, the better. If you are concerned about your tax records or the IRS, please don’t hesitate to contact us. With Oberheiden, P.C., you’ll be in good hands. We are proud to offer free case reviews with no obligation. Contact our experienced IRS tax defense attorneys and get answers to your questions today.